I have to admit to needing a few of these kind of birthday cards every now and then ... how about you? :) This darling new You've Got Mail stamp set from My Favorite Things just might make the recepient forget all about the lateness of your delivery, don't you think? And that sweet little coordinating You've Got Mail envelope Die-namics is FREE this month with your purchase (click here to find out more detials)! All of the stamps from the You've Got Mail stamp set are sized perfectly to fit on it! I adore the little postage stamp and cancellation mark, along with the diagonal "airmail" stripes stamps. The pretty Hybrid Camellia Flower was die cut from Pink Lemonade cardstock and sponged with Bubblegum Premium Dye Ink. The Blueprints 16 curved panel was cut from Natural cardstock and Natural Premium Dye Ink sponged through the Jumbo Polka Dot stencil to create the curved panel. The Pink Lemonade panel was stamped with the Cheesecloth Background stamp in Bubblegum Premium Dye Ink. Both panels were die cut with the large stitched rectangle (almost A2 card front size) from Blueprints 15 -- I love that stitched detail! The layout for my card comes from the current MFT Wednesday Stamp Club #190 sketch. You can find the sketch and all the details of the challenge and prize HERE. One last bit of important information -- My Favorite Things has a brand new beautiful website that just premiered a few days ago!! You can check it all out HERE. I know you will love the new product zoom feature and all the great pertinent info links on the front page, not to mention the wonderful scolling top banner that features pretty sample artwork! Hope you are having a fabulous weekend! School starts for us here on Monday, so we are enjoying the last bit of summer laziness! Hello and happy Saturday! Today over in Ellen Hutson's the CLASSroom, I have this Copic-colored velum birthday cupcake card to share! I hope you'll join me to find out how you can successfully use your Copic markers on vellum, and a few more tips to working with vellum. Welcome to countdown day 3 of My Favorite Things August Release! The new products will be available at 10pm EST on August 12! Be sure to head over to the MFT Blog to see today’s full product reveals AND enter for your chance to win a $75 gift voucher on each of the 7 countdown day blog posts! She was popped up on foam tape on a Pinking Edge Circle STAX which was die cut with the new Stitchable Dot Circle STAX and then hand stitched with white embroidery thread. The cute bats from Miss Tiina's new Trick or Treat set were stamped onto their coordinating Die-namics and Copic colored to match Miss Batty. They were glittered with Clear Wink of Stella. Thanks so much for stopping by … I’ll be back late Monday evening with more August release inspiration! I've been playing with Ranger's new Specialty Stamping Paper and discovered a watercolor look using Copic markers! 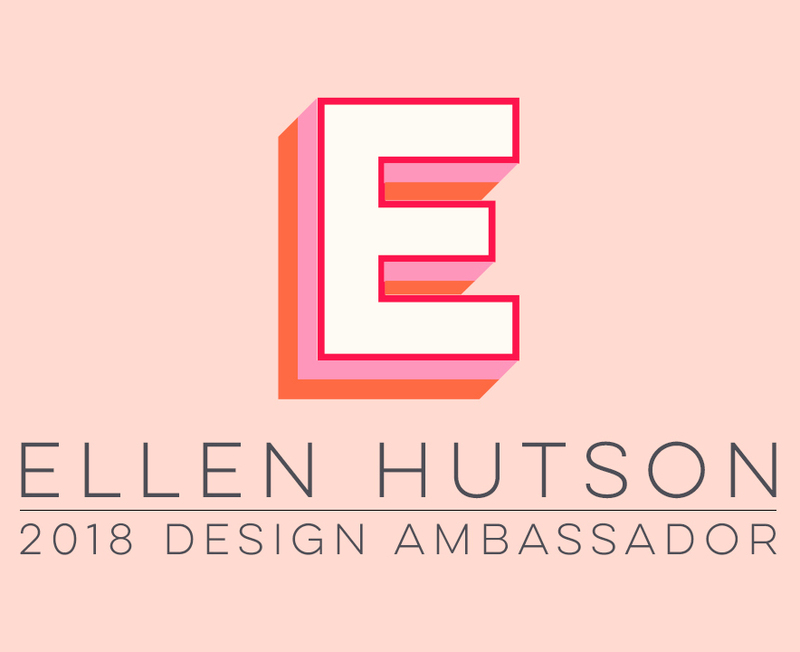 I hope you'll join me over in Ellen Hutson's the CLASSroom to find out all the details! I'll be back late tonight with more August Release Countdown inspiration from My Favorite Things . . . Happy weekend! Welcome to countdown day 5 of My Favorite Things August Release! The new products will be available at 10pm EST on August 12! Be sure to head over to the MFT Blog to see today’s full product reveals AND enter for your chance to win a $75 gift voucher on each of the 7 countdown day blog posts! It really makes very quick and easy cards (or scrapbook page accents)! I die cut the window from the center of a Smooth White cardstock panel, then cut the separate spider die from Black Licorice cardstock and adhered him over the white die cut spider. 3. Either turn the acrylic block over and stamp the color onto glossy cardstock OR press the glossy cardstock onto the acrylic block to pick up the color. Next, the "boo" word from Miss Tiina's Trick or Treat Die-namics was cut from Black Licorice cardstock and adhered to the lower right white panel. The white panel was popped up on foam tape to a Black Licorice card base. Thanks so much for stopping by … I’ll be back late tomorrow evening with more August release inspiration! Welcome to countdown day 6 of My Favorite Things August Release! The new products will be available at 10pm EST on August 12! Be sure to head over to the MFT Blog to see today’s full product reveals AND enter for your chance to win a $75 gift voucher on each of the 7 countdown day blog posts! For today's project, I created an 8-inch scrap page using three new August products being featured today: Geek is Chic Glasses Die-namics, Geek is Chic stamp set and Eye Charts stamp set! Also, the Small Checkerboard Stencil being featured on Monday. All such fun! My oldest daughter absolutely loves her glasses and has no urge to get contacts. They are her favorite green color, which matches her beautiful green eyes! She is a self-proclaimed science and computer geek, has geckos for pets and never liked frilly girl stuff. So when I saw these new stamp sets and dies, I knew they would make a perfect scrap page for her! I started with her favorite color -- green, and used MFT's pretty Factory Green (darker olive color) and Fuse Green (lighter) -- they remind me of the inside and outside of a pickle, LOL! I'll admit, I really didn't see myself using the Fuse Green too much when I first saw it but the more I worked with it, the more I'm loving it . . . especially combined with the darker Factory Green -- I think they will make a fabulous combo for Fall projects and this is definitely not the last you will see of this combo from me! Now on to the page details . . . I die cut both of the smaller glasses from silver metallic cardstock and used them as borders along the top and bottom of the page. One of he larger pair of glasses were also cut from silver metallic cardstock, and given vellum lenses! Also along the top and bottom of the page, I used several of the Geek is Chic sentiments, stamped in the darker Factory Green Premium Dye ink, onto the lighter Fuse Green 8-inch page base. I highlighted a few of the words, arrows and star (from the same stamp set) with Clear Copic Atyou Spica Glitter Pen. For the tag accent, I used the Tag Builder Blueprints 1 to cut Primitive White cardstock and stamped one of the Eye Charts sentiments on it with Black Licorice Premium Dye ink. I've always adored eye chart graphics and this set has a great selection of sentiments that will work for anniversary/love, birthday, thank you and this "Your smile makes the world brighter"! Narrow strips of Black Licorice cardstock (my daughter's other favorite color!) accent the top and bottom borders. All the new products will be available for purchase on August 12th at 10pm Eastern in the MFT Boutique. During this countdown you can enter to win some HUGE prizes over on the MFT blog . . . where you will also find links to the other design team members that are sharing samples using today’s featured products! Thanks so much for stopping by … I’ll be back tomorrow with more August release inspiration! Hello and welcome to an exciting week of the My Favorite Things August Release Countdown! Be sure to head over to the MFT Blog to see today’s full product reveals AND enter for your chance to win a $75 gift voucher on each of the 7 countdown day blog posts there! I LOVE this exciting on-trend angled Blueprints -- it takes all the guess work out of those difficult angles and makes these cards so easy to create! I started with a Nightshift Blue card base and die cut the top angled piece from Orange Fizz cardstock. Then I used the the fabulous stitched circle (cuts stitches around the outer as well as the inside of the circle) to cut a circle out of the top Orange Fizz piece. The button is actually a die from BP18 -- cut from an Orange Fizz watercolored circle from a piece of the leftover lower panel. The Orange Fizz star and Nightshift Blue flag are also from BP18 . . . tons of great accents in this set! The lower angled panel was created on Primitive White cardstock, using the Jumbo Polka Dot stencil, watercolored with MFT's Orange Fizz, Fuse Green and Nightshift Blue Premium Dye inks . . . I love the the irregular colored dots!! The spotlighted Thank You was colored with Orange Copic Atyou Spica Glitter Pen. The Ghostly Greetings sentiment is from the new Spooky Sentiments stamp set being featured next Tues, Aug 12. It was stamped in Black Licorice Premium Dye ink, hand trimmed (very quick and easy to do) and popped up on foam tape. I can't wait to show more projects with Miss Tiina's new line on Product Launch Day, August 12, so please be sure to check back then!